Hey Franko, thanks for letting me do this! 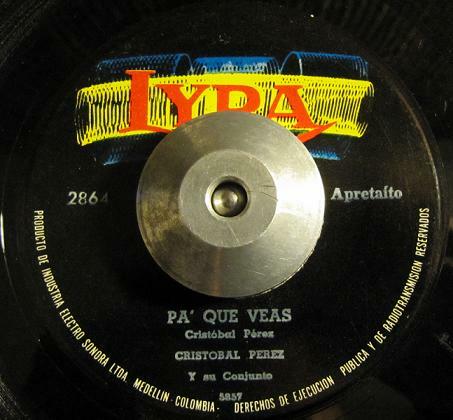 I have a few different 45’s I’ll try to post up this month, starting with this Cumbia microgenre from Colombia – Pa’ Que Veas by Cristobal Perez Y Su Conjunto. It’s described as an “Apretaito” from the Spanish “Apretar” meaning to press or push… and that’s the vibe you get. Not super hyphy, but a relentless beat that keeps things moving for the dance floor. What’s more, since this is a b side and not on a yellow label that begins with “F”, you might be able to find it for really cheap. You can check out Sport Casual’s website Futurefunk.net – There are some amazing Latin mixes on that site, especially the El Bigote sleepy beats and breaks one. The Moustache Mix! Thanks Sacha (aka Sport Casual) for this wonderful track. I know it’s hard finding out information about some seriously obscure Latin musicians, next to impossible sometimes. But you really hit a nerve with me when you used the term “micro-genre”, especially when explaining a cumbia conjunto from Colombia. There are hundreds of genres from the Atlantic coast, to Andean regions, to the Pacific, to even the insular regions of Colombia. 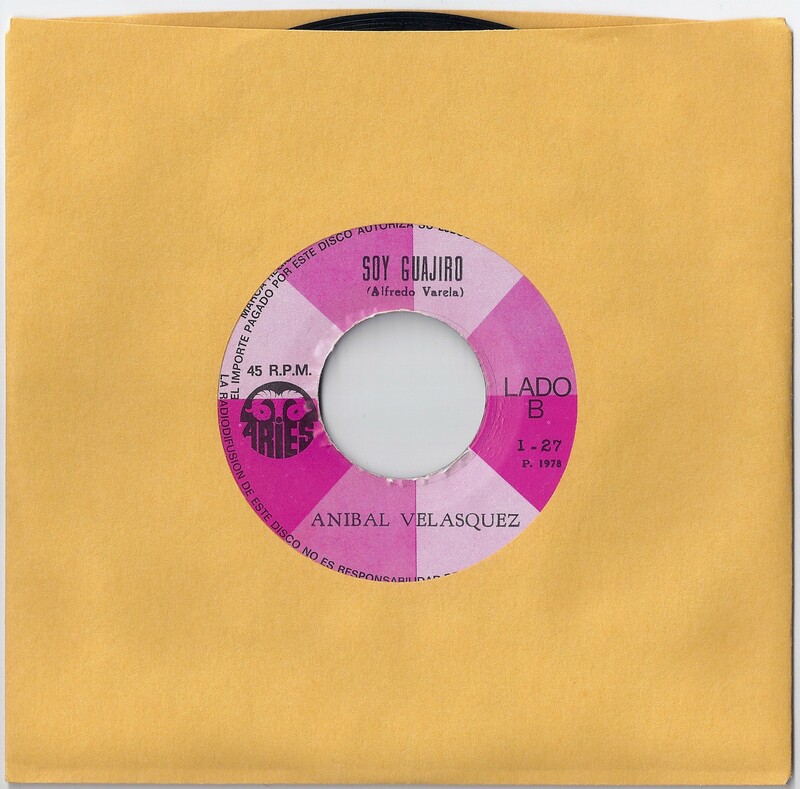 I tossed in a few tracks of one of my favorite musicians Anibal Velasquez to show how different two 45’s can make. There is no other musician I can think of who was more prolific and has traversed more Colombian “micro-genres” than Anibal Velasquez himself. I won’t say anymore than that. A certain somebody from a certain record label is putting out a collection of his music, which I actually contributed to. These two songs made the cutting room floor and I wanted to save a post on Anibal long after that record is released. Enjoy! cool blog, i think someone may be interested in knowing that lyra, as far as i know, is not a colombian label, but a bolivian one so i think cristobal perez may be from bolivia not colombia. ha Paolo, you are totally right. Post fail. Start over. A little google research tells me that the pressing plant is the Colombian link and they also pressed records for Orfeon and Velvet. We won’t really ever know where Cristobal Perez is from. Lider is a peruvian label with Anibal on it? So who know’s. Sounds Colombian, but its all good. Yes man, and Lyra is not one of the most common label to find in Colombia. 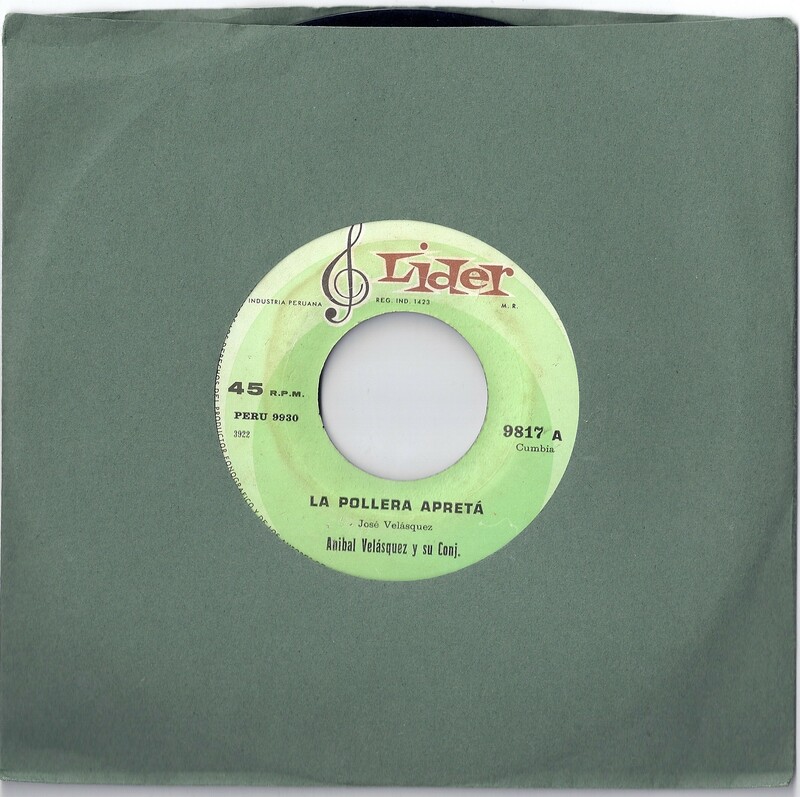 Lider released a lot of material there and as you surely know, most of the artists on the label were peruvian (A.Linares, Los Destellos, Los Sabios del Ritmo, Los Siderals just to name a few). I think it should be the same for the Lyra label but as somebody said, we cannot know for sure. Anyway thanks for sharing this, nice post! I like La Pollera Apreta!!! !